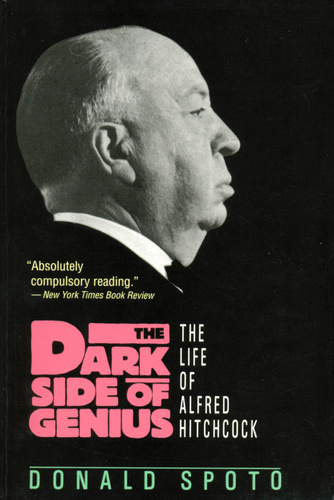 see Articles about "The Dark Side of Genius: Life of Alfred Hitchcock"
How is it possible to paint a portrait of an artist who left behind none of the notebooks and journals that provide most biographers with important personal details? After exhaustive researching and interviewing, Donald Spoto came to the conclusion that "Hitchcock's films were indeed his notebooks and journals ... [they] are astonishingly personal documents." This account of Alfred Hitchcock's life reads the mind of the man through the making of his films. Spoto argues powerfully and convincingly that movies like Notorious, Rear Window, Vertigo and Psycho can be appreciated not only as masterpieces of entertainment but also as subtle, revealing autobiography.